Reagan Arthur Books, 9780316077569, 336pp. "If you look hard enough into the history of anything, you will discover things that seem to be connected but are not." So claims a character in Frederick Reiken's wonderful, surprising novel, which seems in fact to be determined to prove just the opposite. How else to explain the threads that link a middle-aged woman on vacation in Florida with a rock and roll singer visiting her comatose brother in Utah, where he's been transported after a motorcycle injury in Israel, where he works with a man whose long-lost mother, in a retirement community in New Jersey, recognizes him in a televised report about an Israeli-Palestinian skirmish? And that's not the half of it. 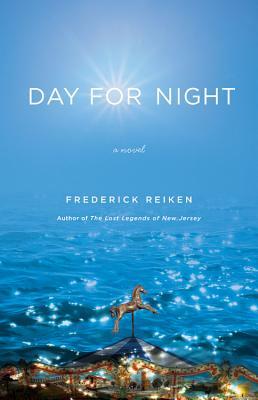 Frederick Reiken is the author of two previous novels, "The Odd Sea" (1998) and "The Lost Legends of New Jersey" (2000). His short stories have appeared in "The New Yorker" and his essays in the anthology "Living on the Edge of the World "(2008). He has worked as a reporter and columnist and is currently a member of the writing faculty at Emerson College.